Learned from one of my characters. Sometimes characters take on a life of their own. They often surprise me. As the end of my first apocalyptic love story neared, I found myself writing a totally unplanned scene in which a bitter, sadistic character is given a second chance. An unplanned sequel “Journey to Redemption” materialised tracing his physical and emotional journey across a dangerous new world from Wyoming to Taiwan. Presently, trapped in Los Vegas, he becomes henchman to an ex showgirl run crime ring. I thought this would be an exciting addition to the plot, but I’m seeing more and more as I write, how only in seeing himself in her can he begin to make the changes he needs. How true that is of life, it’s often only when we see our own vices manifest in others we become desperate enough to change. Sometimes a story just gets a life of its own! I’ve never been one to plan stories, it just doesn’t work that way for me (and it’s definitely no fun). Rather stories seem to grow and develop a life of their own. It’s as if the story is already out there somewhere and I’m just opening the window to set it free onto the page. Don’t get me wrong I also suffer the inevitable “writer’s block” sometimes when the damn catch on the window seems jammed and the weather’s too dark and cloudy to even catch a glimpse through the pane. But then, sooner or later, it always loosens, the glass swings open and I’m invaded by the most inspiring scenes and ideas and I just can’t wait to get to my laptop. My present book seems to be the most “revelatory” yet. New characters introduce themselves in my head as I wake, parading their own personal diversity. I ponder and realise how well they weave into the plot, adding depth and emotion, so that later I sit, tissues in hand when a plot twist reveals their demesne. Research (tedious as it tends to be) brings to light plot options, small details, and opens me up to places I’ve not been before in my writing. I wake each morning as if seeking to continue reading a book I’m wrapped up in, but it isn’t written yet! Reading and writing become one, with an irresistible urge to turn the next page, start the next chapter. My “overactive imagination” as my teachers called it has found it’s niche. I’ll miss it when it’s finished (except that when the real work begins, editing, revising, condensing etc.) However I already have a tittle for a possible sequel lol! Meanwhile I’m in danger of becoming a recluse! Micheal Angelo said there was a sculpture in every block of marble just waiting to be released. As a sculptor in my youth I felt that was a great way to express it. Now I write rather than sculpt (more practical with no studio) but I sometimes feel it’s the same with stories. It’s like you just turn a key, the door opens and it becomes like dictation, the stories reveal themselves to you. My other two books were also somewhat like taking dictation, but this one seems to just burst upon me in multicolored fireworks, like watching a movie unfold with my merely taking effortless notes for the script. They used to talk of a “muse” that gave writers inspiration. That idea is not so common these days, but I could well imagine some heavenly force showing clips, pictures, and flowing script which I, a mere scribe, jot down for others to partake of. I’m having so much joy in this other things are getting a little neglected. So please excuse my sporadic blogging of late, I’m in love with writing this story! lol! Yes, I’m a happy bunny! After months of waiting, referrals etc. I finally got to see a specialist who could give me a clear diagnosis of the pains I’ve been having for the last year or so in my left thigh. Not only that but the cure is great! It seems the nerve has become inflamed, causing the muscle to contract to protect it. The cure he prescribed? 1)Yoga, which I already found tends to ease it. He loved that I was doing that as apparently it’s the best thing,gently stretching the muscle while it relaxes the nerves. He left me feeling great.I had been concerned not knowing what was causing it, especially when it got a lot worse after “treatment” So I’m celebrating – relieved to know it’s very minor, and I can sure live with the cure! lol! Light spring rain drummed its rhythm on the forest leaves. It was oddly silent, both felt it. The camp lay ahead swallowed in the camouflage of its protective gully. Their eyes met. “I…” her voice was stifled by a sturdy hand as he pushed her against the trunk, long finger on taunt lips – warning! Eyes wide with fear she watched as he shrank beneath the ferns. She stood pressed hard against the concealing bark as if drawing strength from the forest giant. Had they come! With urgent motions he beckoned her to follow. Rustling through unfurling stems they crawled their way back. She was shaking, hands trembling as they sought perchance, her enlarging belly catching on the stems. Sinking into the shadows they gained their feet. “Can you run?” he hissed, eyes flaring. “Yes.” Grasping hands they careened through the trees, whispering branches concealing their passage. On and on they ran till she began to stumble. With laboured breath they paused against the gnarled side of an oak. As if in confirmation the sound of guns rent the stillness, screams echoed through the silent groves. He wiped a soiled sleeve across his eyes. She nodded. Stumbling on over roots and shrubs, pursued by screams and gunfire echoes they melted into the ancient refuge of man. Tall sentinels guarded their way; ferns muffled their footsteps as gentle rain washed away all traces of their path. He had to pull himself together, be strong for her and the child. There had to be an end to this… pictures flashed before his eyes, blood mottled skin, life draining, how could it end any other way? Days turned to weeks, new blooms decked the river bank and raised their heads where sunlight traced the forest floor, the vast swathes of bluebells had relinquished their office to myriad hued cousins. Summer was on its way bringing plenty in its wake. He was a good provider yet it had been hard, enough to survive, but not enough to fill the belly. Crawling face down among the forest’s carpet he edged towards the gully. All seemed quiet, the right kind of quiet. 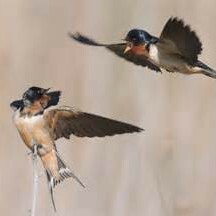 Birds flew hither and yon in their perpetual search to placate their growing young, insects hummed. The forest had resumed its quiet cacophony of sound, proclaiming the departure of the hunters. Relieved but still cautious he edged forward. The smell became intense. They could have at least buried the bodies… they were unrecognizable now, gnawed by forest inhabitants, decaying back from whence they came, nature reclaimed its own. He tried not to look. Pull yourself together man, get what you need and get out of here. Rummaging through the debris he found what he was looking for, the big pot, the blankets. They’d need washing again now… Thread, he must have thread, to tie the cord. Thank God he knew the basics; there were no doctors in the forest. Glancing around he grabbed their tumbled winter coats, stuffing them into one of the blankets and tying it. That was all he could carry. It would have to do for now, he’d get more later, he told himself, but in his heart he knew he’d never venture back. His hands full, view obscured, he never noticed the wire his foot nudged as he strode out of the hut. Time is a gift. How will you use yours? Having to spend a lot of time sitting with my foot propped up, while being frustrating (I’m an active type), is slowly bringing me to realise I need to evaluate my time. My goal on retiring was to write. In my youth I was given a message, in a mysterious encounter, that my destiny was to write. At the time I was an artist and thought they must have got it wrong, but as I’ve grown older the idea of using what I’d learnt in a very full and diverse life to help inspire others has grown. Other goals have been slowly added, studying health, growing my own vegetables, yoga, exercise etc. Then there’s helping others, my children and grand-kids, and sailing with the disabled, for a while I even added being part of a local “green” group but that proved to be too much lol. All these are good things, but a bit from an Andrew Womack audio kept ringing in my head. He said, if you have more than one goal your efforts get too diffused. He recalled many good causes he could have gotten involved with and had encouraged others in, but how he had to stick to that he felt he was ordained to do. I pondered this at the time recalling another old saying, “don’t let doing what is good keep you from doing what is best.” but then I shrugged it off – mistake maybe? Now apart from watching movies writing is the only thing I can do and I’m realising how unfocused I’d become, just fitting in a bit here and there between all the other stuff. Not that I can’t do these other things but that they should revolve around my writing not vise versa. Maybe my temporary injury has a silver lining. Much love to all you fellow writers and thank you all so much for all your concern and continuous encouragement! It’s so good to find so many others like me. Yes, happy day, my writers block (plaguing me for months) has finally gone! Things are flowing, stories, ideas and best of all my current book (stuck for weeks) are once more pouring out. Feels so good I could sing!